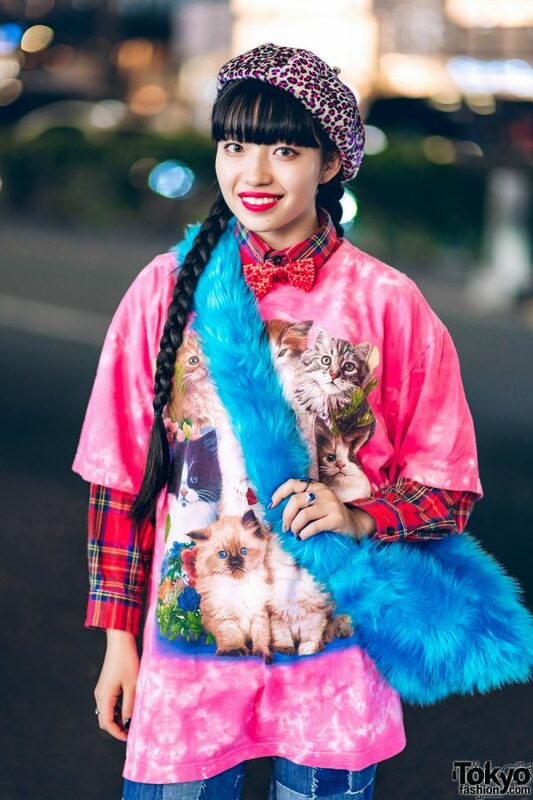 Meet Sakura, an 18-year-old fashion student and RRR shop staff sporting twin braids. 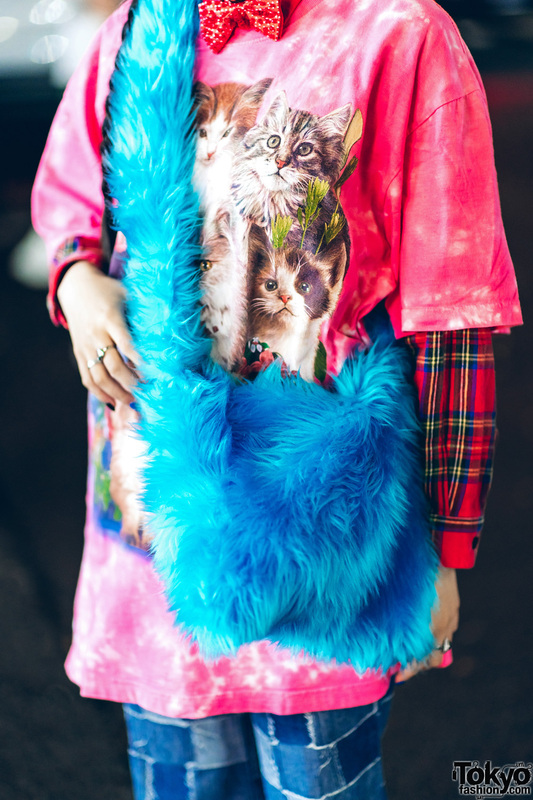 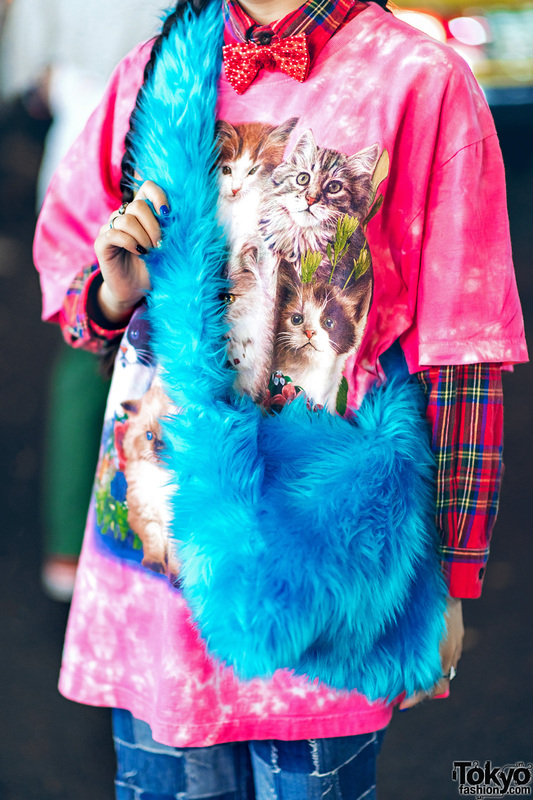 Her colorful retro street style easily caught our eye one evening in Harajuku. 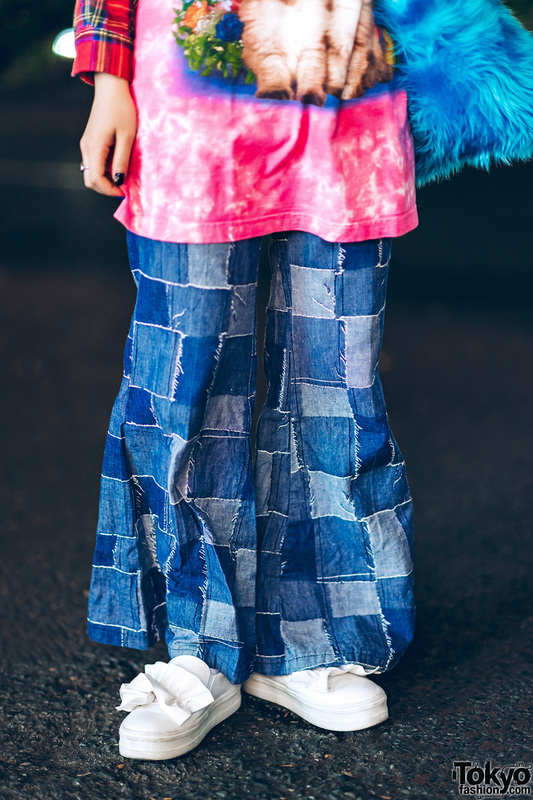 Sakura’s ensemble consists of a pink tie-dyed t-shirt with cat prints from New York Joe, which she wore over a red plaid long sleeve shirt and paired with resale patchwork denim flared pants. 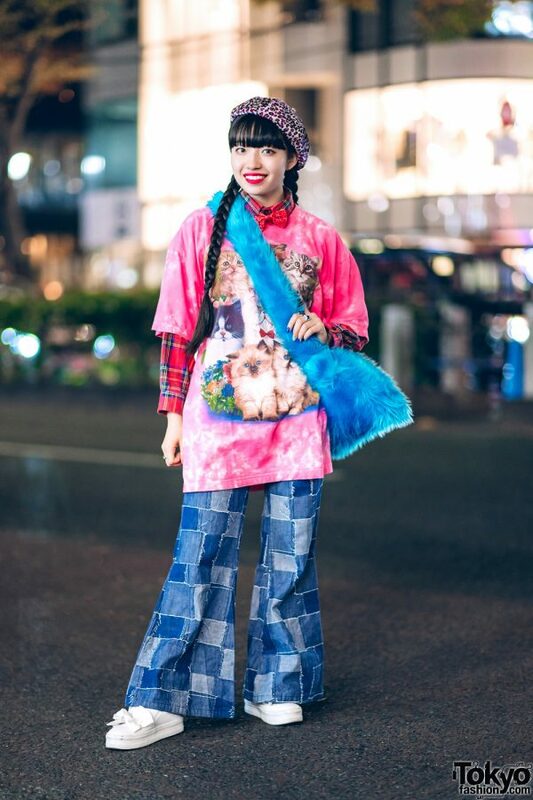 White socks, white ruffle slip-ons from GU, and a blue fuzzy crossbody bag – gifted by Runa-chan (Aiba Runa, the founder of Japanese fashion brand RRR) – completed her outfit. 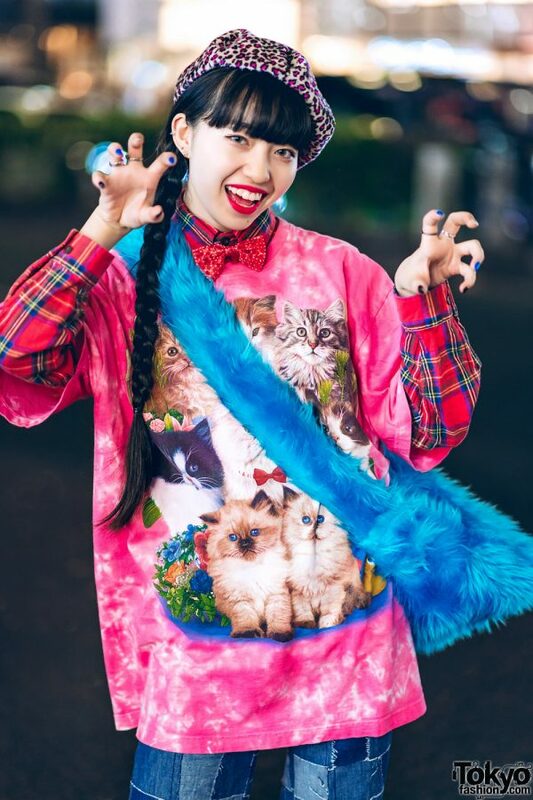 Her accessories – from Palnart Poc and Vivienne Westwood – include an animal print beret, silver ear cuffs, stud earrings, a red polka dot bowtie, and multiple silver rings. 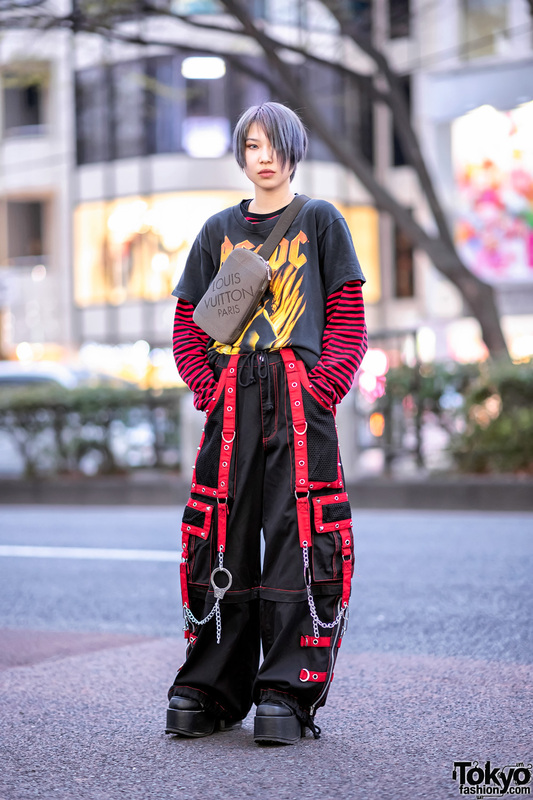 Punk Cake is Sakura’s fashion favorite, and she likes listening to the music of Japanese pop singer/songwriter, Aimyon. Follow her on Twitter and Instagram for her style updates.